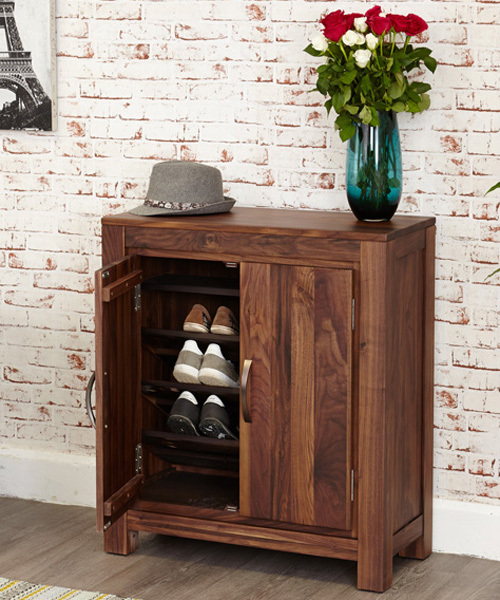 Our solid walnut shoe cupboard has been designed to hold up to 20 pairs of shoes over three slanted shelves and a further flat shelf at the bottom. 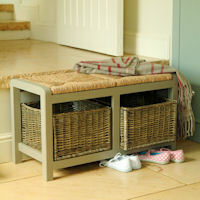 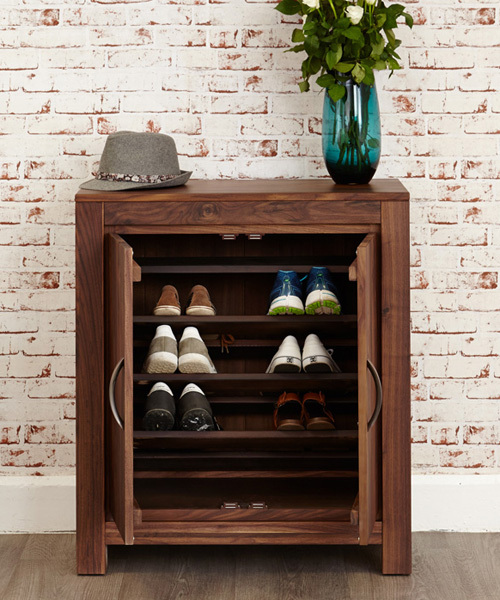 There's plenty of room for all of the families shoes and the rich walnut finish will add a warmth to any hallway or living room. 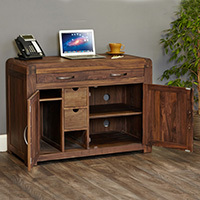 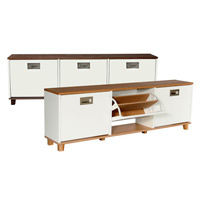 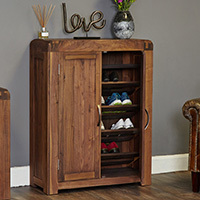 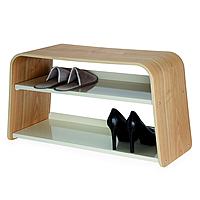 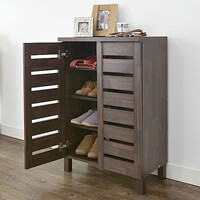 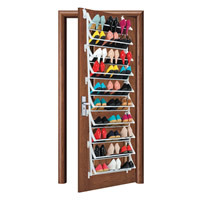 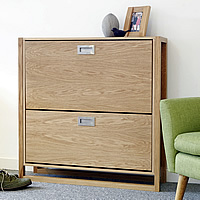 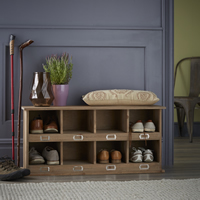 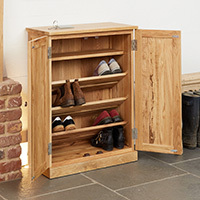 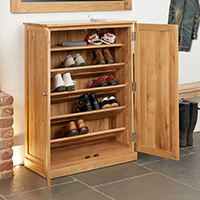 Crafted from solid walnut which has been sourced from managed plantations, our shoe cabinet is delivered fully assembled and comes with a 5 year guarantee.